Lyman, Jason A., M.D., M.S. 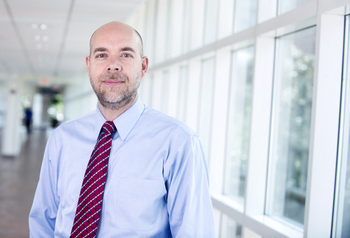 Jason Lyman, MD, MS is an Associate Professor of Biomedical Informatics and currently serves as Associate Chief Medical Information Officer for Informatics for the UVA Health System. Dr. Lyman completed his undergraduate medical training at the University of Vermont, followed by an internship in Pediatrics at UC-San Francisco with a subsequent NLM-funded fellowship and master’s degree in Medical Informatics at Oregon Health and Science University. In his current capacity, he provides medical informatics leadership and support for the Medical Center and the School of Medicine, working to develop and implement strategies to optimize the EHR for safe, high quality patient care, while providing physician leadership in data and documentation standardization initiatives to enable re-use of data for quality assessment, research, and education. As Medical Director of the Clinical Data Repository, he oversees strategic direction of our research data warehouse, which enables secure, appropriate access to clinical and administrative data for biomedical investigators and outcomes researchers. Lyman JA, Cohn WF, Bloomrosen M, Detmer DE. Clinical Decision Support: Progress and Opportunities. J Am Med Inform Assoc 17(5) 2010.Lyman JA, Schorling J, Nadkarni M, May N, Scully K, Voss J. Development of a Web-based Resident Profiling Tool to Support Training in Practice-Based Learning and Improvement. Journal of General Internal Medicine. 23(4). 2008. Lyman J, Scully K, Harrison JH. The Development of Healthcare Data Warehouses to Support Data Mining. Clinics in Laboratory Medicine 28(1). 2008. John D. Voss, MD , Natalie B. May, PhD, John B. Schorling, MD, MPH, Jason A. Lyman, MD, MS, Joel M. Schectman, MD, MPH, Andrew M.D. Wolf, MD, Mohan M. Nadkarni, MD, and Margaret Plews-Ogan, M.D. Changing Conversations: Teaching Safety and Quality in Residency Training. Academic Medicine 83(11) 2008. Weiner MG, Lyman JA, Murphy S, Weiner M. Electronic health records: high-quality electronic data for higher-quality clinical research. Informatics in Primary Care 2007. 15:121-7.